Casio Pathfinders have good reputation among dive masters-instructors and other active leisure practicing people. The reasons of that are very simple and you can ask about that every of these watch owner. They will say that this brand timepieces are very durable and long-lasting. The price of them is also not so high. Only one thing that requires some maintenance is to change battery every few years (for older models without solar technology). You can find a big range of Pathfinders series models, but at this time Casio PAG240 watch will be in the centre of attention. Casio PAG240-1CR Pathfinder model is quite popular among casual people too. It is good looking and not expensive. With that you will also get bunch of functions, which will be checked here. Watch comes with the manual, which lets you to easily customize the settings and test all the functions. At this point all Pathfinders get bonus by providing very detailed manual (instruction). With World Clock in Casio PAG240 you can check and set time for every time zone. Watch well handle moving through world times thanks to this special function. Maybe one think that could be improved in this one that function would offer more city in one time zone, while at the moment you can find only one city per time zone. I have nothing to complain about Sunrise/Sunset Time feature. It provides accurate information and calibrate whatever you change your location coordinates. I am happy I didn’t have the chance to use compass in any delicate situation, but in the pilot test it was quite accurate. For the perfect precision some recalibration would be useful. In few words, compass works great for my purposes and has a nice display. Altimeter won’t be the function that will add bonus point. Without any adjustment it works +-100-200 feet accuracy. Some calibration might help to sustain that, but it going to be just a feature for enjoyment — to know approximate altitude. Different story about Barometer/Thermometer. Barometer is precise as the weather station. Casio PAG240 shows exactly the same number of atmospheric pressure in the display as the weather channel. The temperature indicators are almost in the same spot of accuracy, but remember that you have to place it off the wrist for the few minutes to get very precise data.This watch is one of those who let you forget about the battery changing issues. Solar powered technology works great in this product. Using all the functions in the first day and checking them in the evening doesn’t affect battery and the indicator still shows full battery. When the features are reviewed, lets check the display, wrist band and wearing experience. Display is very clear and quite big to check all the data. Watch has button for every function, so it is easy to go through the different modes and not to get tangled. Buttons are easy to press and seems to be high quality. It can be said that controls are very intuitive. 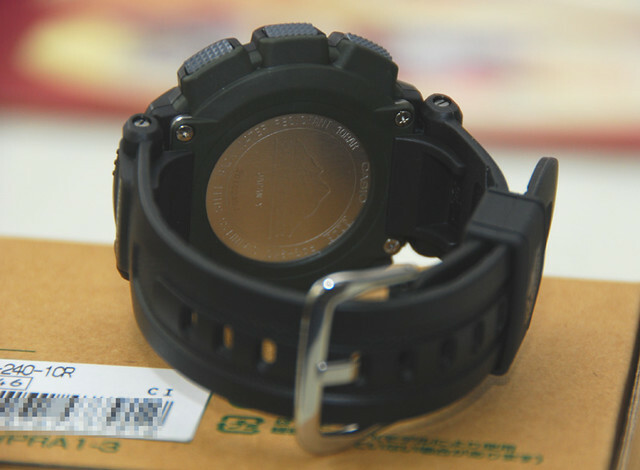 Casio PAG240 comes with black resin band, which are quite big and has stainless steal buckle, while the pin for holding the watchband to the watch are very tough. For some the band can be too stiff and not very flexible, but that is the point where everyone has own opinion. This Pathfinder watch is lightweight and not very big, so it is suitable for everyday wear. 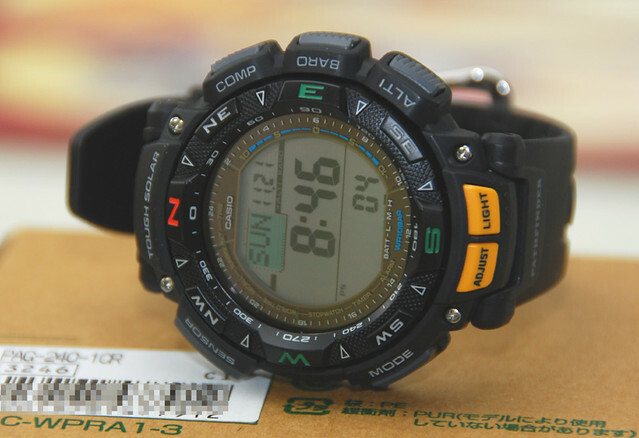 Nice quality and well operating functions is the combination that Casio managed to provide with this model. 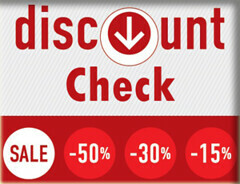 At the moment you can find this model with 41% discount and that price is very well for what you are getting. But if you still have any doubts about this watch I would suggest to check other customers reviews here.